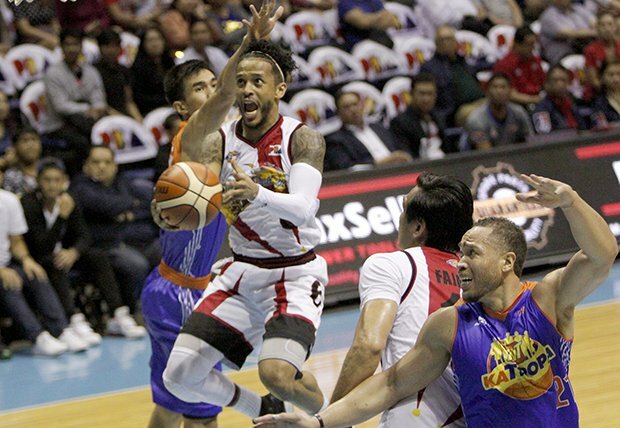 Hoop Nut #PBA2017 2016-2017 PBA Philippine Cup Chris Ross PBA San Miguel Beermen #PBA2017 Philippine Cup Finals Game 3 Preview: Can San Miguel bounce back? #PBA2017 Philippine Cup Finals Game 3 Preview: Can San Miguel bounce back? Bench Matters - In both games so far, Ginebra's bench has been more potent, outscoring their SMB counterparts by a total of 27 points. That's key for the Gin Kings, who will need all they can get from their reserves, which is not as deep as SMB's.